Enhancing the user experience through in-depth requirements elicitation and user interface design is Anneloes’ professional passion. With almost 20 years of experience in the software development and implementation space, she is a sought after Business Analyst and UX Designer on ATG projects. Prior to joining the ATG team, Anneloes spend 8 years as the lead UX Designer for a Quote to Cash solution tailored to the utility industry. Different phases of this project focused on various components of the ATG Monetization Ecosystem™, such as CRM, Order Management, Product Catalog, Usage Management, Service Delivery, Payment Processing and of course Billing & Invoicing. This solution ultimately reduced data errors by 99%, new user training hours by 25%, and allowed CSRs to answer 80% of inquiries from the primary customer page. Anneloes takes a user-centered approach to everything she does and has a reputation for creating detailed process flows, interactive mockups, user focused demo’s and reusable toolkits. 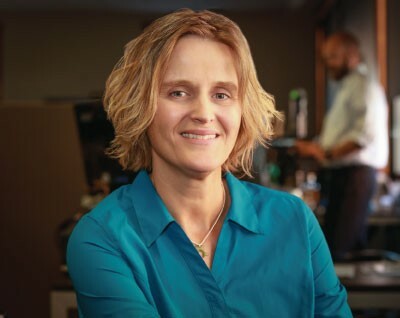 During her time with ATG she has been instrumental in the development of a number of custom software solutions, including a two-year project where she partnered with ATG’s developers to design and build a billing solution from scratch. Anneloes uses her deep knowledge of business analysis and design to help implement a variety of cloud billing and CPQ solutions and serves as team lead and mentor for newer consultants at ATG.